Laser is the acronym for Light Amplification by Stimulated Emission of Radiation. Laser is a focused coherent light with extremely high energy and produced by a machine. 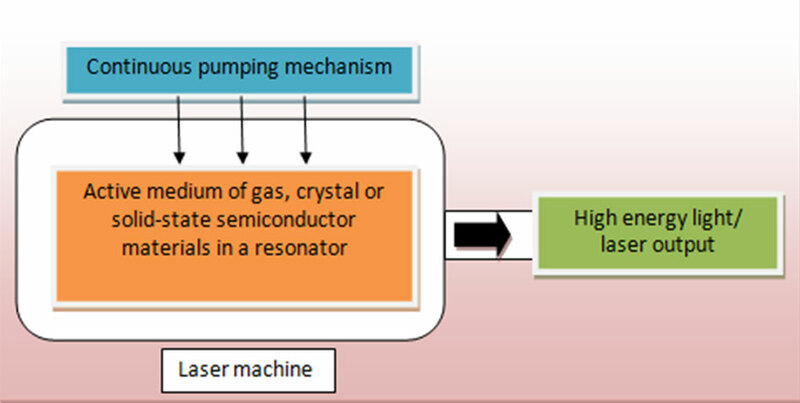 Laser originated from light amplification process as a result of constant continuous pumping mechanism to the active medium (Figure 1). These activated atoms of the medium then will absorb more energy and became further stimulated producing light that is doubled in energy, as described by Albert Einstein’s theory. The energy output is laser. 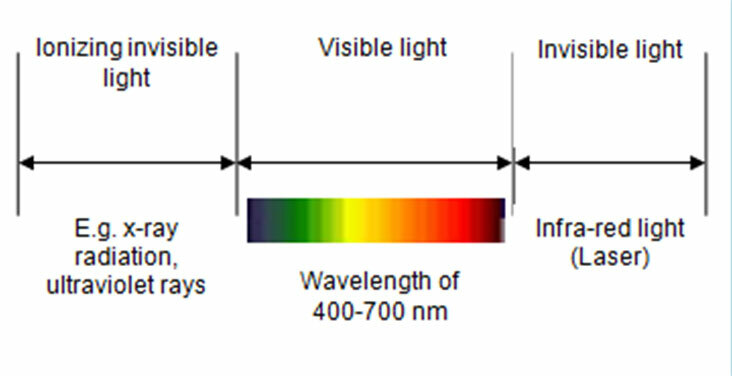 Laser light is monochromatic, and sometimes the wavelength is within the invisible light spectrum (Figure 2). Lasers can be grouped according to the active medium used or the wavelength produced (Table 1). 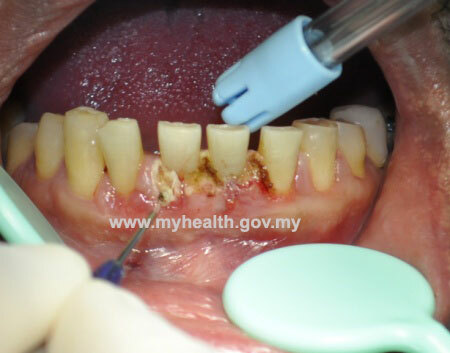 Subgingival debridement and periimplantitis, analgesia , dentinal hypersensitivity treatment,mouth ulcers, removal of melanin pigmentationon the gingiva. Utilization of lasers in dentistry started as early as 1960s, as an alternative to simplify dental treatment procedures. The advantages of laser are haemostasis (control of bleeding during surgery), bactericidal effect, and minimal wound contraction. Dental caries treatment:Laser directed at a carious surface will heat the watery content causing small water molecules explosions and evaporations leaving a clean cavity that is ready for restoration. Cancer and caries detection:Certain biological pigments will fluoresce when shone with laser at certain wavelength. Healing:In treatment of ulcers, nerve pain and sensitive teeth, laser ablation can fasten tissue healing processes, by promoting collagen formation, reducing pain and anti-inflammatory. Antibacterial:Solutions that contain active ingredients will be injected into the gum area and root canal spaces, and with laser radiation, free oxygen radicals will form and destroy bacteria efficiently. Whitening teeth:Teeth whitening solutions will interact with laser radiation producing free oxygen radicals that whitens teeth by breaking down the coloured pigments deep within the teeth structure. Minor surgeries of the gum and other oral soft tissuesLaser can be used to incise abnormal tissues, rectify gum structures and reposition muscle attachments e.g. fraenum. Laser assisted surgeries resulted in less bleeding. Figure 6: After treatment, showing a more aesthetic gum contour and very minimal bleeding. 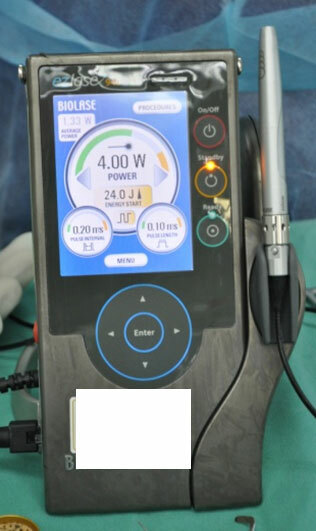 The instruments used must not reflect laser beam by using wet gauze coverage. Ensure adequate high-speed evacuation system to capture the laser plume (smoke). 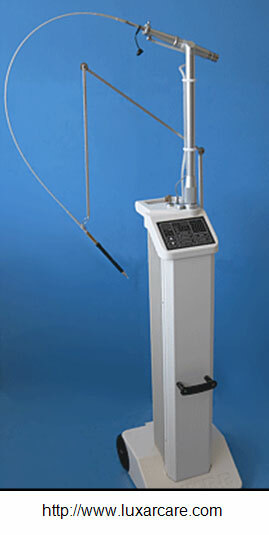 Laser treatment is a safe and effective procedure. The only limitation of using laser in dental treatment would be the high cost compared to the similar effectiveness obtained using conventional dental treatment, except for some added advantages as describe earlier. 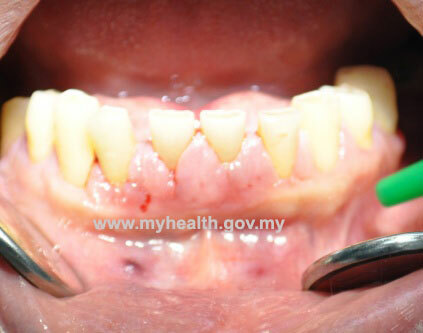 Government dental clinics providing laser assisted treatments are only limited to certain Oral Surgery and Periodontics Specialist Clinic with the facilities, and dental clinics in universities (IPTA). Coluzzi, D.J. (2008). Fundamentals of Lasers in Dentistry: Basic Science, Tissue Interaction and Instrumentation (Electronic version). Journal of Laser Dentistry; 16 (Special Issue): 4-10.